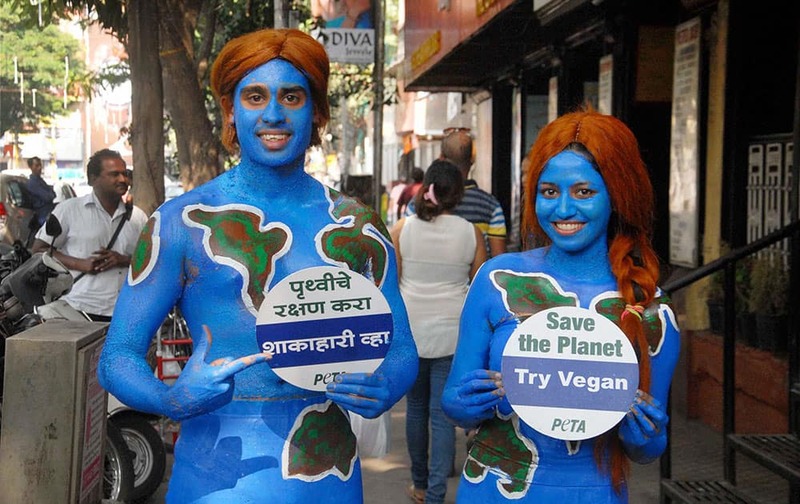 Peta activists with their bodies painted appeal people to become vegetarian in Pune. 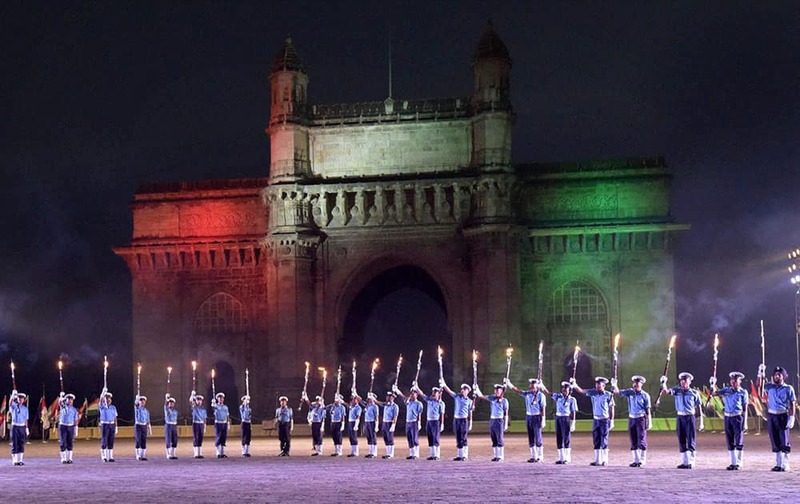 Navy soldiers rehearse for the Beating Retreat and Tattoo Ceremonies during the Navy week at the historic Gateway of India in Mumbai. 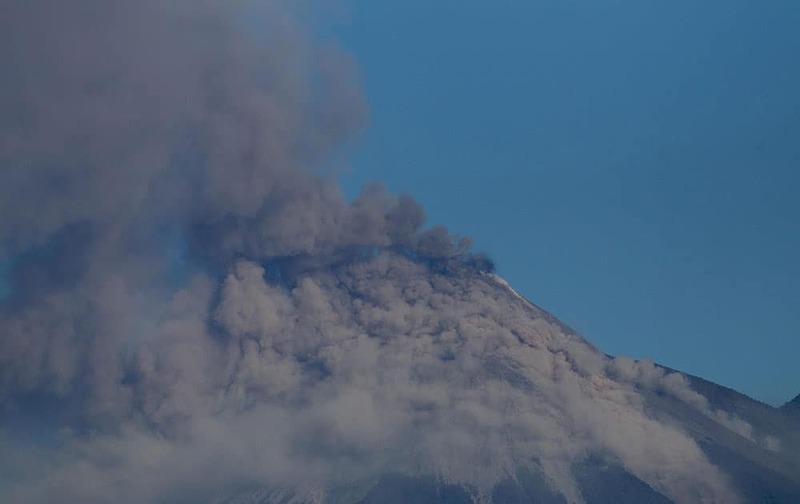 Volcan de Fuego or Volcano of Fire blows outs a thick cloud of ash as seen from Escuintla, Guatemala. 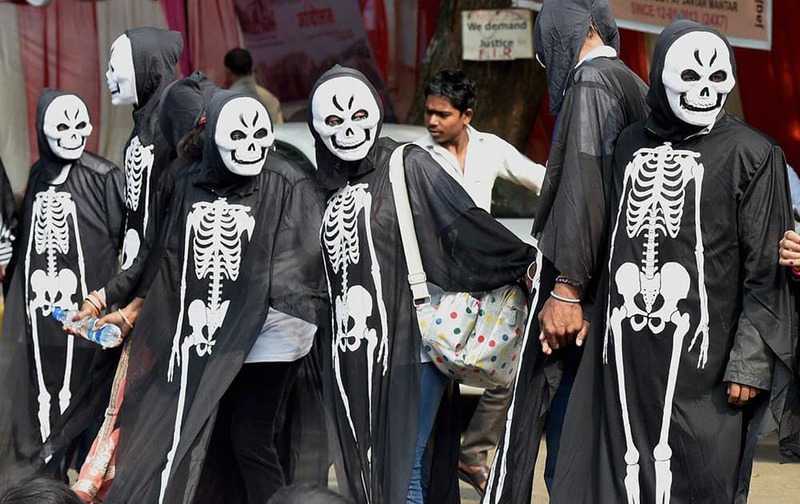 NCPI+ and AHF along with 300 People living with HIV AIDS (PLHA) dressed up like skeltons holding a rally on World AIDS Day in New Delhi. South African captain Hashim Amla with teammate Faf du Plesis during a practice sesion in New Delhi on Tuesday ahead of the 4th Test match. 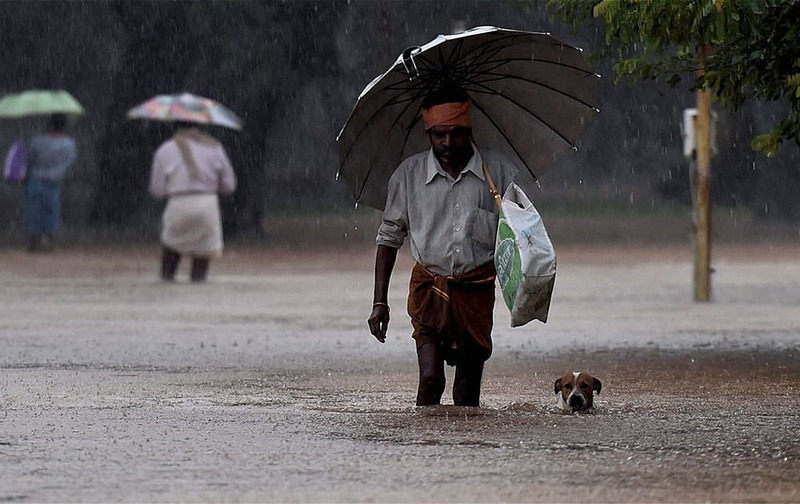 Visitors move from a flooded Government hospital after heavy rains in Chennai. 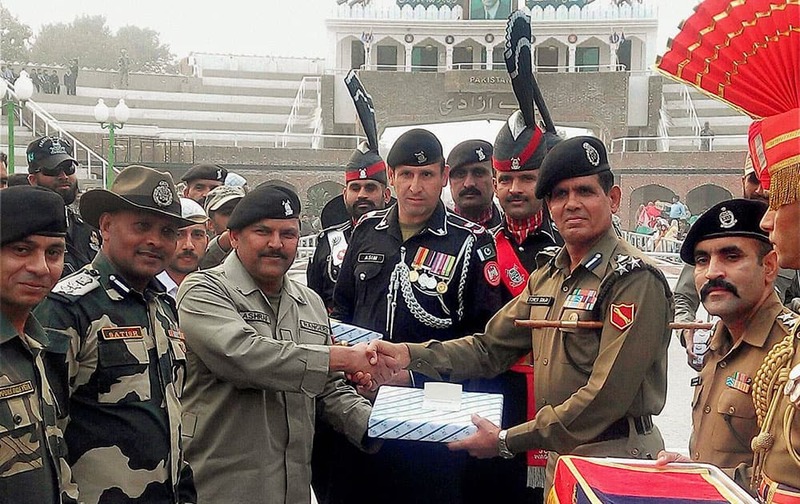 officials offer sweets to Pakistani Rangers officials during the golden jubilee celebrations of the Border Security Force (BSF) raising day at Indo-Pak Attari-Wagha border. 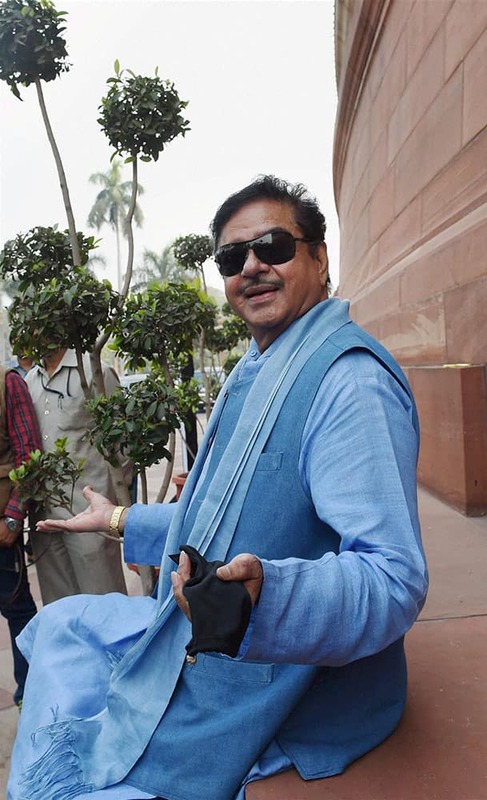 BJP MP Shatrughan Sinha during the winter session of Parliament in New Delhi. 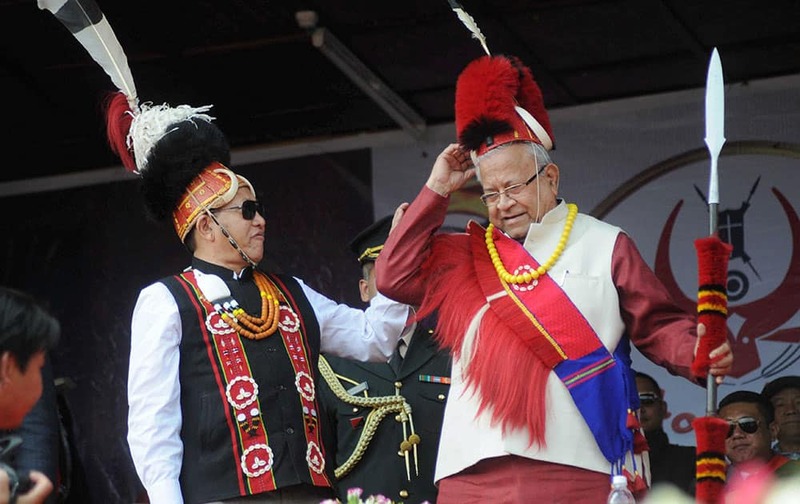 Nagaland Governor Padmanabha Balakrishna Acharya and Chief Minister TR Zeliang wear traditional dresses during the Hornbill festival in Kohima.